It’s so hot just everywhere that today we’re going to look at something soothing, cool, and easy to make. 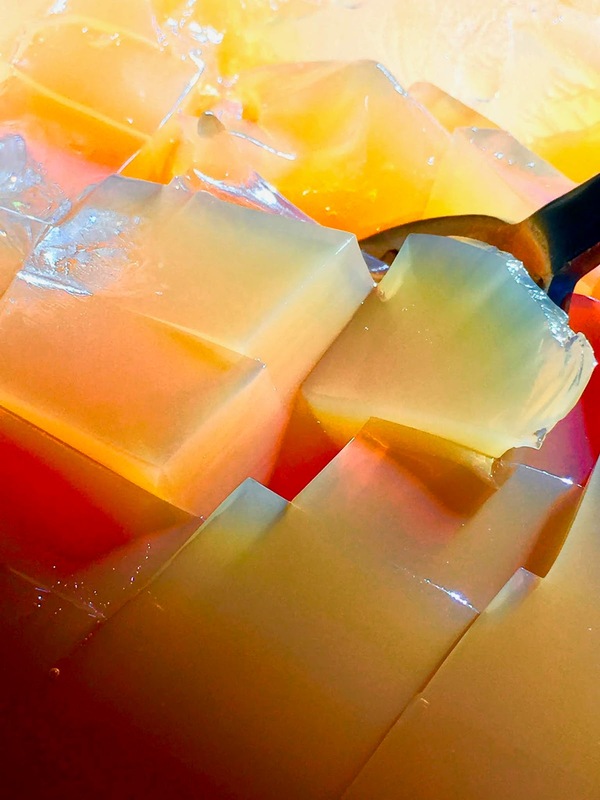 This one of those dishes that ought to be wildly popular, but few folks seem to have ever heard of it, much less had a chance to fall in love with it: black tea gelée. 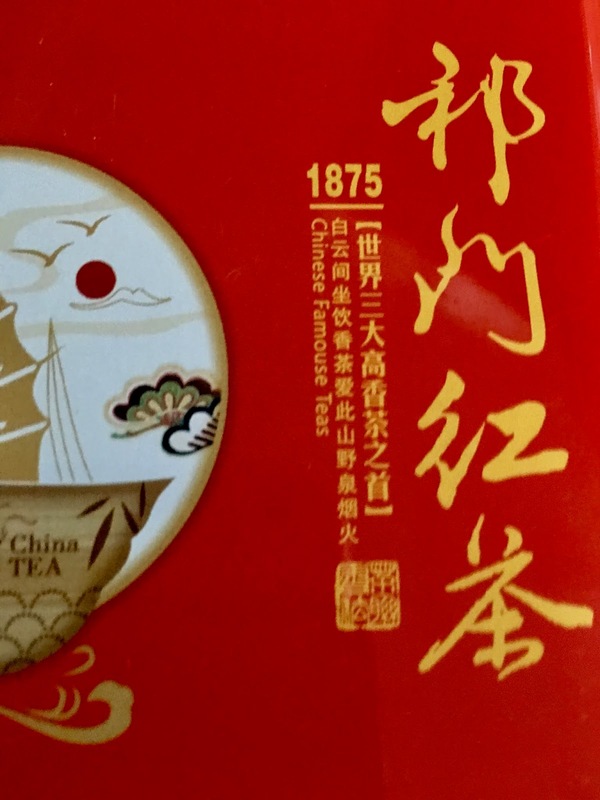 First off, this screams Hong Kong through and through, simply because it is such a perfect Chinese riff on a British classic: black tea with milk and sugar. The first time I really understood the passion such a simple drink can induce was in, of course, Hong Kong. During my first couple of years in Taiwan, I would take little R&R trips over to the then-colony and indulge in things like red wine, good coffee, buttery pastries, artichokes, cheesecake, and tequila… you know, the six pillars of any sensible diet. At that time, my favorite hotel in the world was the Star Ferry YMCA. It was cheap, it was convenient, and the older section was in full retro mode, with rattan furniture, slowly rotating ceiling fans, and Forties-style upholstery covered with hibiscuses. Up on the roof was a restaurant that overlooked the harbor, back when the harbor was still heartbreakingly beautiful. 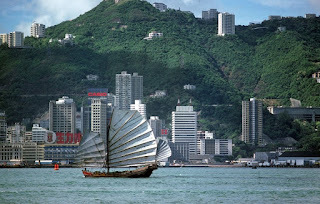 There were sampans, junks with massive sails, and floating restaurants… so romantic and now so totally gone. But anyway, back to the food. I’d have a proper English breakfast there, one of those gut busters replete with bangers, eggs, tomatoes, and enough food to keep me going until dinner. I’d be sure and have cup after cup of my sweet tea to wash it all down, and pretty soon this turned into a major addiction. 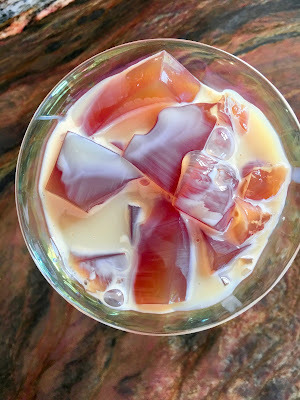 So, I have more than a bit of an emotional connection to milk tea, and when it’s hotter than blazes out, this is a great way to chill out in every possible way. Any good tea works here, and you can make the tea as strong as you like. In addition to personal taste, this all depends upon the variety and quality of the tea. I prefer my tea British-level strong, so be forewarned. 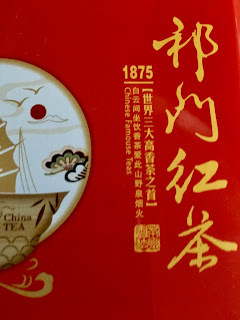 I've used a wonderfully fruity tea here from Fujian called Qimen. 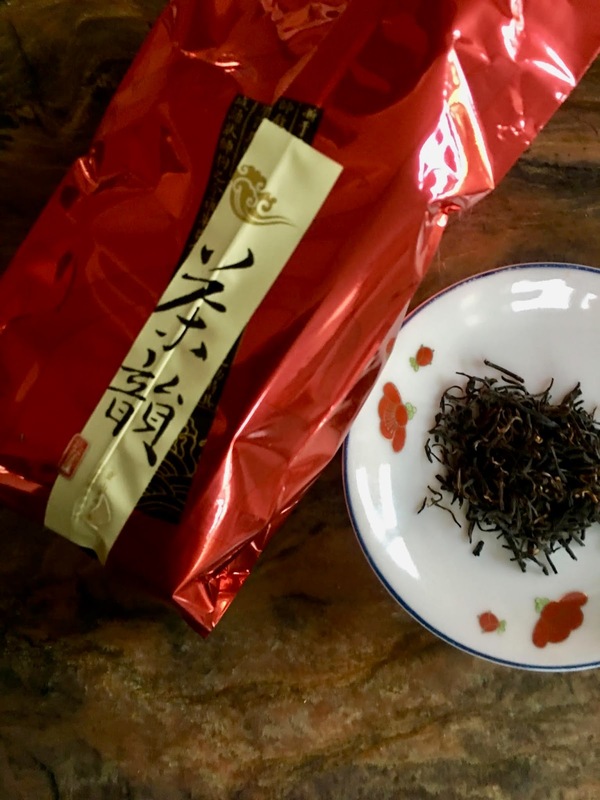 The flavors are very complex, and although it doesn't stand up to repeated dunkings like some other teas, that first round is out of this world. 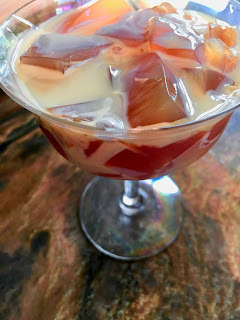 You can make the tea jelly a couple of days ahead of time and spoon out as much as you want, then decorate it with sweetened condensed milk or cream or what-have-you. When you see a particularly hot week on the horizon, consider stashing a couple of bowls in the fridge to keep you sane and happy. This makes a lot, but then again, it goes down like lightning. 1. Place the tea leaves in a small strainer and run water over them for a few seconds to rinse them off. Dump them into a large measuring cup and pour the boiling water over the tea. Cover the tea and let it steep for around 10 minutes. If you like an even stronger flavor, brew them for as long as you like, and then microwave the tea until it is once again very hot. 2. While the tea is steeping, pour the cool water into an 8-cup | 2 liter pan. Sprinkle the gelatin over the cool water so that it has time to completely soften. 3. Strain the hot tea into the gelatin and stir gently to dissolve the powder. Let the liquid come to room temperature, cover, and refrigerate for six or so hours until solid. 4. Just before serving, cut the gelatin into tiny cubes. Scoop them into (preferably) clear glass cups or bowls, and then drizzle the condensed milk over the top.